I’m not sure what it is about June that requires so much hard alcohol. But in addition to National Moonshine Day (the first Thursday of the month), we can also look forward to World Gin Day (June 9), National Bourbon Day (June 14), and National Martini Day (June 19). In any case, we start with the hardest and most notorious of these—moonshine, which is a high-proof alcoholic beverage distilled mainly from corn mash. 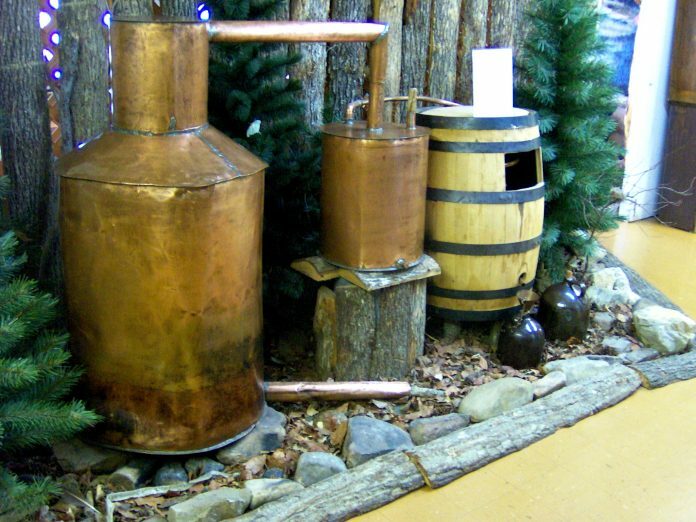 That sounds innocent enough, I suppose, but moonshine is typically associated with illicit production (most notably during Prohibition), and until 2010, moonshine was entirely illegal in the United States. Now it can be distilled legally with a proper license, and indeed, brands like Midnight Moon can be found wherever spirits are sold. It can also—under just the right circumstances—be used to fuel a car. But how you obtain your moonshine and what you do with it is none of my business.